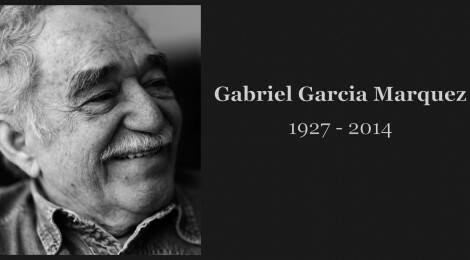 The Nobel Prize winning Colombian writer, Gabriel Garcia Marquez passed away on 17th April, 2014. Through his One Hundred Years of Solitude, Autumn of the Patriarch and Love in the Time of Cholera, he has shown us worlds that are not different from our own, but only distant. Though the element of magical realism is what Gabo is remembered most for, we believe his works are more real, than magical. The Bangalore Review pays tribute to this great writer. What follows is an excerpt from One Hundred Years of Solitude. Many years later, as he faced the firing squad, Colonel Aureliano Buendía was to remember that distant afternoon when his father took him to discover ice. At that time Macondo was a village of twenty adobe houses, built on the bank of a river of clear water that ran along a bed of polished stones, which were white and enormous, like prehistoric eggs. The world was so recent that many things lacked names, and in order to indicate them it was necessary to point. Every year during the month of March a family of ragged gypsies would set up their tents near the village, and with a great uproar of pipes and kettledrums they would display new inventions. First they brought the magnet. A heavy gypsy with an untamed beard and sparrow hands, who introduced himself as Melquíades, put on a bold public demonstration of what he himself called the eighth wonder of the learned alchemists of Macedonia. He went from house to house dragging two metal ingots and everybody was amazed to see pots, pans, tongs and braziers tumble down from their places and beams creak from the desperation of nails and screws trying to emerge, and even objects that had been lost for a long time appeared from where they had been searched for most and went dragging along in turbulent confusion behind Melquíades’ magical irons. ‘Things have a life of their own,’ the gypsy proclaimed with a harsh accent. ‘It’s simply a matter of waking up their souls.’ José Arcadio Buendía, whose unbridled imagination always went beyond the genius of nature and even beyond miracles and magic, thought that it would be possible to make use of that useless invention to extract gold from the bowels of the earth. Melquíades, who was an honest man, warned him: ‘It won’t work for that.’ But José Arcadio Buendía at that time did not believe in the honesty of gypsies, so he traded his mule and a pair of goats for the two magnetized ingots. Úrsula Iguarán, his wife, who relied on those animals to increase their poor domestic holdings, was unable to dissuade him. ‘Very soon we’ll have gold enough and more to pave the floors of the house,’ her husband replied. For several months he worked hard to demonstrate the truth of his idea. He explored every inch of the region, even the riverbed, dragging the two iron ingots along and reciting Melquíades’ incantation aloud. The only thing he succeeded in doing was to unearth a suit of fifteenth-century armour which had all of its pieces soldered together with rust and inside of which there was the hollow resonance of an enormous stone-filled gourd. When José Arcadio Buendía and the four men of his expedition managed to take the armour apart, they found inside a calcified skeleton with a copper locket containing a woman’s hair around its neck.